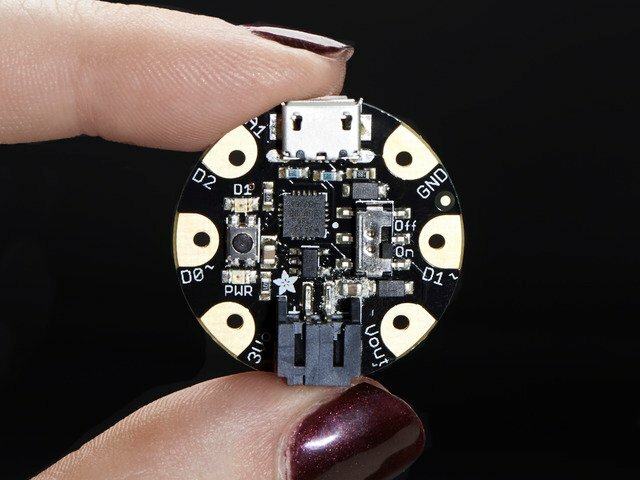 This Peace pendant project is a great way to hone your 3D printing + electronics skills. 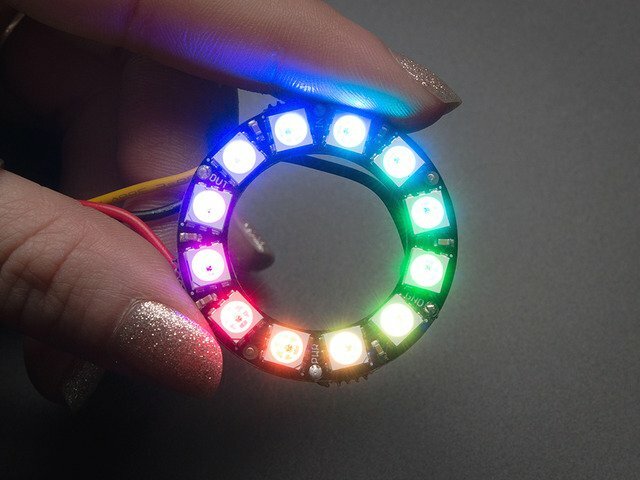 The circuitry for this wearable project isn't that complex, and the 3D printed enclosure will provide a compact pendant that you can wear to your next party or event. #4 3/8 inch Screws (x2) or similar. Micro USB cable for programming/charging. 22 AWG hook-up wire or any other suitable wire. Access to a 3D printer with filament. Hot glue gun and super glue. The pendant assembly shouldn't be that complicated. The enclosure was designed to comfortably hold the electronics without much hassle. Please see the video for an assembly summary. 1) Start by soldering short lengths of hook-up wire to the LED ring. The front face of the enclosure was designed with holes aligned to the LED ring wire solder points. Mount the ring onto the face of the enclosure and slide the wires into the enclosure. You could use some adhesive to anchor the ring, but this isn't required since the fit is tight enough to hold it in place. 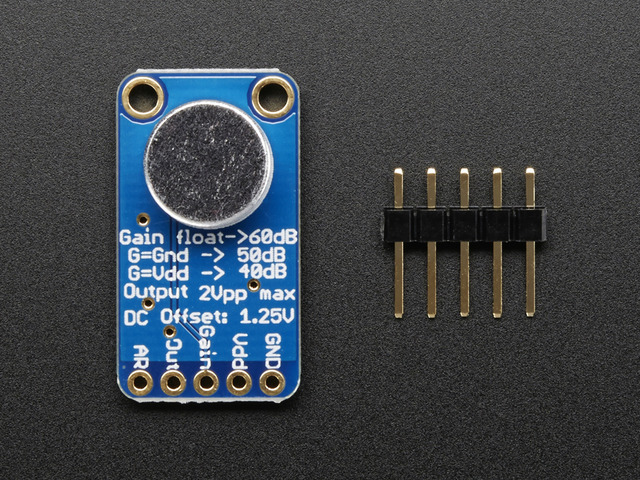 2) Solder a short piece of wire to one of the far-end pins on the slide switch, and connect that to the BAT of the LiPo charger. Solder the RED lead of the JST-PH lead onto the middle pin of the slide switch. Please see the circuit diagram. 3) Push the slide switch into the opening on the side of the enclosure. Secure the switch in place by using some glue. Please be careful not to encircle the entire switch with glue or else the switch won't work! You could also use hot glue on the inside to hold the switch in place. 4) Solder the Black GND lead of the JST-PH lead to the GND on the LiPo charger. Please ensure the wires soldered to the LiPo charger are attached to the TOP side of the charger. 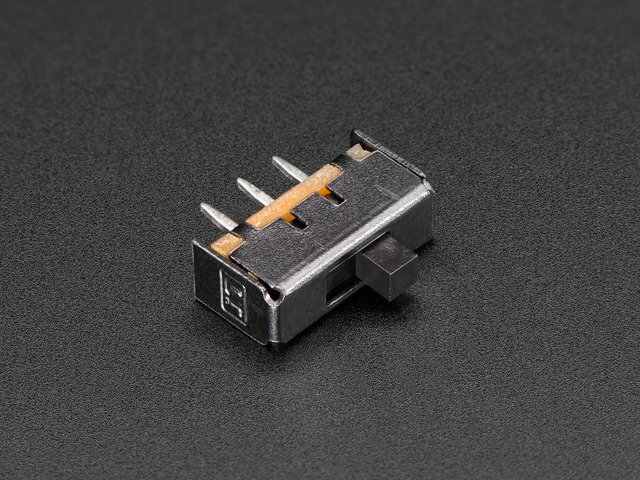 This ensures the charger would sit flush when inserted into the enclosure. 5) Solder short lengths of hook-up wire to the MIC amp. The connections are shown in the circuit picture above. 6) Solder the LED ring wires to the Gemma according to the circuit diagram. 7) Insert the battery lead into the LiPo charger and seat the charger in the enclosure. Use some hot glue to secure the charger on the enclosure. Ensure that this is properly done because the USB cable will constantly be attached and detached for charging. 8) At this point, the soldering is complete. Lets program the Gemma before final assembly. 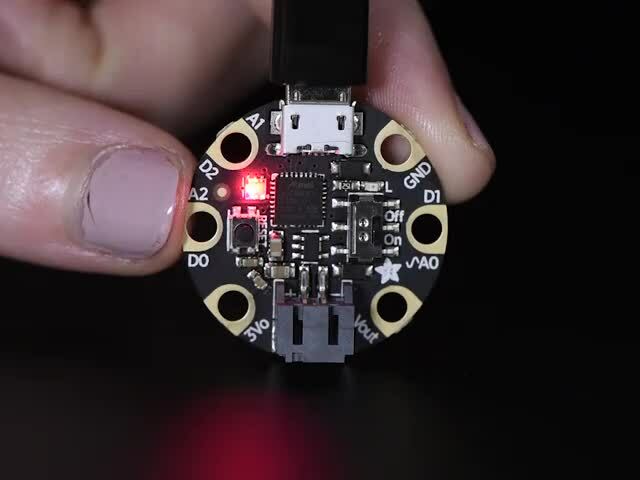 You will need the Adafruit NeoPixel library for the sketch. Grab the Arduino sketch and load it onto the Gemma. Putting the Gemma into the bootloader mode is documented here. Once the sketch is loaded, test the flashing of the LEDs by tapping the mic. 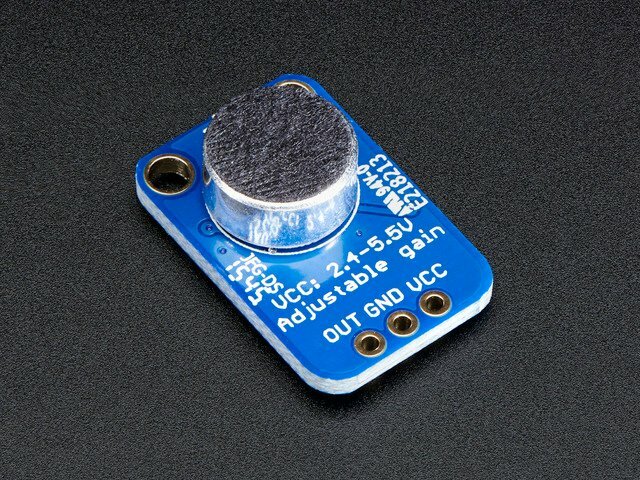 The LEDs should react to the sound. If it does not work, please check your wiring and ensure your Arduino sketch is loaded correctly. 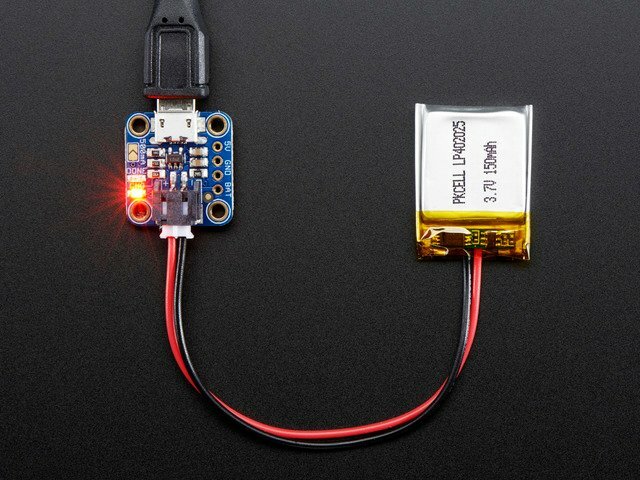 9) Once the circuit is verified to be working, button-up your project by putting the LiPo battery in the enclosure and pass the JST lead under the charger partition that is built into the enclosure. Please see below. 10) If you want to insert a ring to hang the enclosure on a laynard, now would be the time before final assembly. 11) Lets do the final assembly by inserting the battery first, then the Gemma. Now insert a small plastic spacer before putting in the MIC to prevent any short circuits. You can use a piece of plastic. I used a scrap piece of 3D printed plastic and placed it on top of the Gemma, then inserted the MIC on top of that. Close the enclosure using 2 x #4 3/8 inch screws with the 3D printed lid. Ensure that the USB charging port lines up with the opening. Attach a laynard, beaded necklace or whatever you like for a necklace. This guide was first published on Jan 30, 2016. It was last updated on Jan 30, 2016.